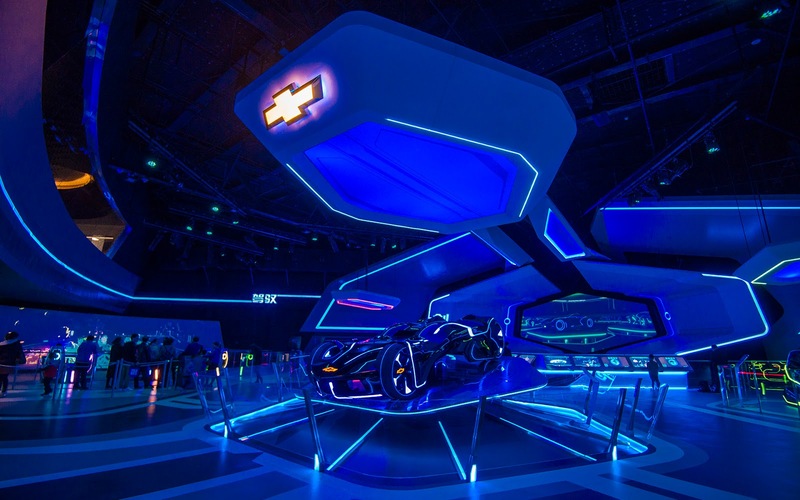 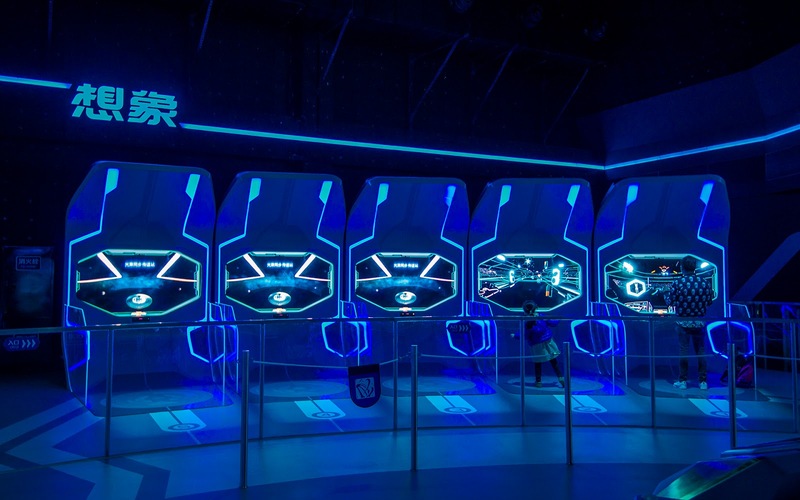 Located within the exit area of TRON: Lightcycle Power Run is a Chevrolet-sponsored interactive attraction that allows guests to design their own TRON vehicles and run them in a virtual simulator to test their effectiveness. 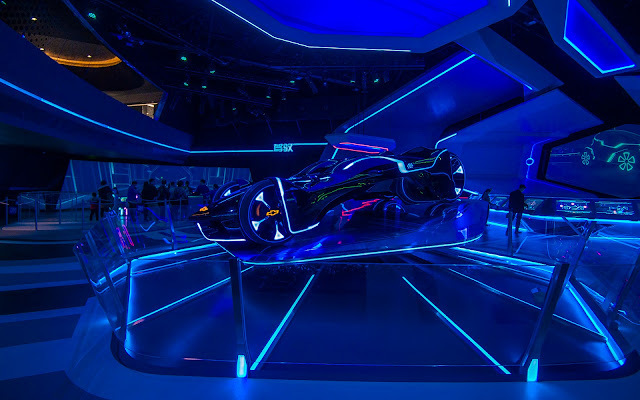 In addition, other video games abound, not to mention a sleek concept car that looks straight out of the world of TRON. 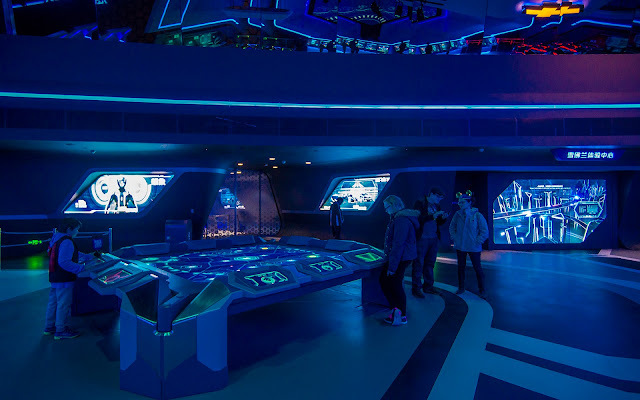 This area is similar to what EPCOT provides to guests exiting out of Test Track, and there's even an automobile corporate tie-in there too. But undoubtedly, the space in Shanghai Disneyland looks a lot cooler--if only because of the futuristic glowing lights and luminous strips that imbue a feeling of advanced technology. 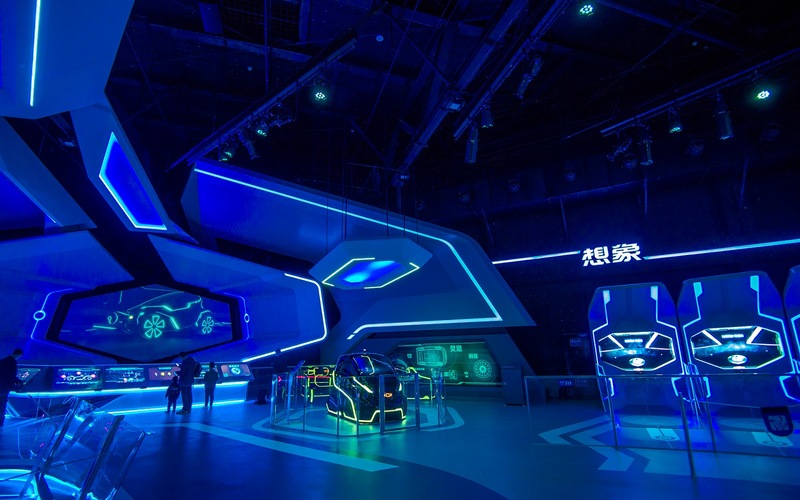 It's just really pretty!